There are various activities for membership participation. Urban Sketchers Group- meets the third Tuesday of the month usually. Next scheduled trip will be Tuesday, April 16 - we'll meet at McDonald's near Walmart on Ocean Beach Hwy at 9:30 am until 12:30 pm to sketch or paint on location. Afterwards, we will go to lunch at the Ole Creekside Cafe on Commerce. Christmas Luncheon and Gift Exchange in December. Every other month we challenge one another to complete a work of art based on a subject selected such as clouds, animals, beach scene, people, action and more. 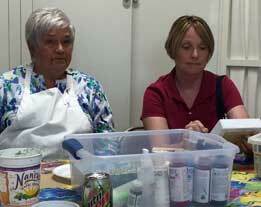 Members bring in their piece and present to the group for remarks or suggestions if the artist asks. It's a fun way to view how others approach a subject and view the varieties of medium choices. There are several opportunities to exhibit your work, earn awards, and sell your art. In the spring, we have our Spring Show which is usually held at Three Rivers Mall. This year we will be having it at a new venue to soon be announced. The show is open to members and other artists in the surrounding counties. We have a visiting judge jury the show. There are many sponsors who support this event. Exhibitors must have their artwork for sale. In the summer, we hold the Art in the Park in mid-August. For the last 2 years, we have held it in conjunction with the Squirrel Fest at the Civic Circle in Downtown Longview near the Monticello Hotel. Vendors have been happy with the arrangement and many locals come just to see our show. Local artists and artists from outside the area are welcome to exhibit. This is an outdoor show so weather is a factor in considering this event. Artists should have their own canopy to protect their work from the elements. Both 2-D and 3-D artists attend the show. 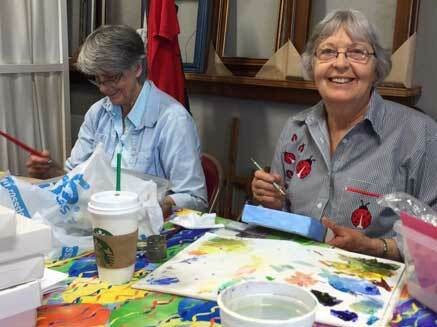 Members are encouraged to paint on 6x6 canvas to go on sale at various events. 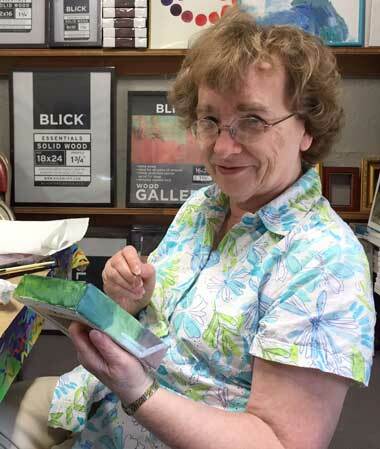 Nancy Knowles has organized this activity and various members offer to help exhibit these works. Sales of these works act as a fundraiser for supporting various acivities. During the spring, summer and into fall, there are several members who take to the road visiting various locations to paint or draw. It's a great way to meet new members and get active. There's always an inspirational view to grab your interest. If you want to be a part of this group, contact Nancy Knowles.